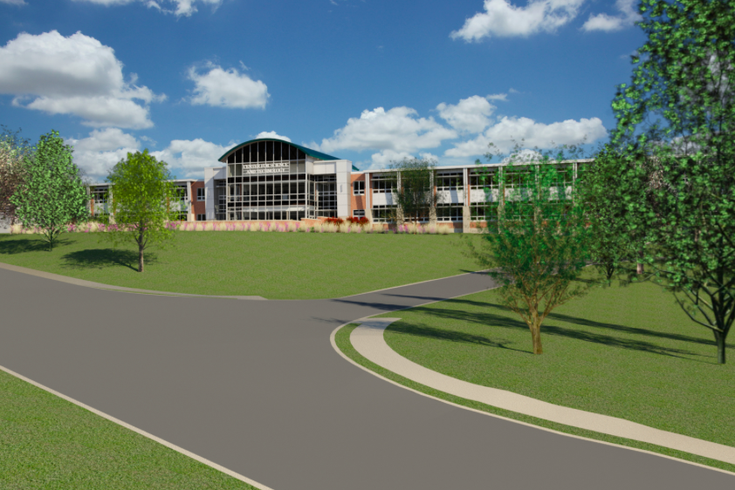 Rendering of new Science and Technology Center at Abington High School,. Abington School District administrators apologized to the school community and alumni on Tuesday for failing to include them in talks about renaming the high school for a $25 million donor and alumnus. The apology came as part of a proclaimed effort to be more transparent about the details surrounding the donation by billionaire investor and philanthropist Stephen A. Schwarzman. Abington Senior High School will keep its name after community pressure led the district to scrap a plan that would have honored Schwarzman, who agreed to maintain his historic $25 million gift without the name change. Putting last week's ordeal behind them, school district officials on Tuesday revealed additional details about the intended use of Schwarzman's gift. In a letter to the community, administrators clarified plans for the expansion and renovation of the public school, an aging building whose construction dates back to 1956. The state-of-the-art Center for Science and Technology, a brand new building expected to open in 2020, will be named for Schwarzman to acknowledge his essential role in the school's transformation. Plans for additions and renovations to the high school, along with site maps of the proposed renovations, were released by the school district earlier this year. A new Athletic Center and Auxiliary Gym will bear the names of Bobby Bryant and Billy Wilson, both Abington graduates who starred on the school's track and field team. The Athletic Hall of Fame will be named after track coach Jack Armstrong. Payments of the $25 million gift will be distributed on a pre-set schedule through 2022, beginning with a $6 million payment to be made by July 1. Details about the district's revised pledge agreement will be ironed out at a pair of public board meetings to formally rescind the previous renaming plan and vote on a final document. Building updates and progress reports will be provided to Schwarzman as construction gets underway, including any projected cost changes to the budget. Larger changes to the district's curriculum, including new computer coding and STEM classes for the majority of junior and senior high students, will be implemented by 2020. "We recognize the importance of these skills for today’s workforce, and are proud that Mr. Schwarzman shares this vision," district officials said. "His gift frees up district resources to execute on our plans for increased technology for the students." 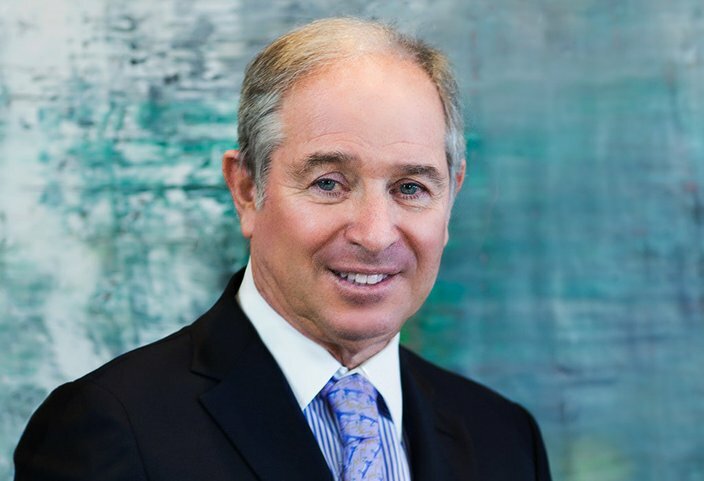 Schwarzman is the co-founder and chairman of the global private equity firm The Blackstone Group and recently served as a policy adviser to President Donald Trump. A 1965 graduate, he credits his education at Abington as an influential force that shaped his life and eventual success on a global scale. Lishabai Yi/Middle Kingdom Media Ltd. The district has made emphatically clear that Schwarzman will not exercise any control over curriculum or related decisions, as some in the community fear might be an implied trade-off for such an unprecedented gift to a public school. Tuesday's letter again acknowledged the mistakes the district made while informing the Abington community about the gift over the past month and a half. "In our excitement about the gift and what it means for our school in the years to come, we failed to provide you with the opportunity for public comment on the name change, and for that we are deeply sorry," district officials wrote. Many felt the administration should have been more open about its intention to rename the school at the time the $25 million gift was first announced in mid-February. Others saw the renaming as an excessive decision in principle, considering the high school's stadium already bears Schwarzman's name. District officials initially defended and stood by their decision to rename the school Abington Schwarzman High School. Vocal opposition from what the district described as a minority compelled the administration to reevaluate its own process. The first of two public board meetings will be held April 10 to rescind the vote on the pledge agreement that contained the name change. A second public board meeting will take place April 24 to vote on the final pledge agreement, documents for which will be made public ahead of time, the district said. "We are grateful to Mr. Schwarzman for standing by Abington as we find a way to both recognize his generosity and also acknowledge the wishes of the community," the letter concluded. "We are also grateful that 100 percent of his gift will go towards design and construction costs, and will enable us to achieve our vision of a renovated and expanded high school."